Consultant and manager with many years’ international experience both in the private sector and in the public service. He holds an MBA from the Graduate School of Management at Boston University and a Master in Public Administration Diploma from the John F. Kennedy School of Government at Harvard University. He started his managerial career as consultant at Coopers & Lybrand in Boston (now PricewaterhouseCoopers) and as vice-president of Chase International Corporation of Hartford. 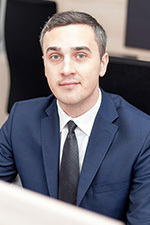 As Vice-President and Financial Director of Polska Telewizja Kablowa SA, he was among the creators of the currently largest cable television network in Poland (now UPC Polska). He was also co-founder of the Solidarność Chase D.T. Bank SA in Gdansk (now part of BPH S. A.) He worked as Manager and Director at KPMG Peat Marwick and KPMG Barents Group in Washington and in Warsaw. He also owned a consulting company, specializing in strategic, operational and technological consulting for publishing companies and publisher organizations. During the years 2006-2008, he was the CFO of Telewizja Polska SA and during the years 2008-2010, he worked as Director-General of the Ministry of Culture and National Heritage. In 2012-2014, he was the head of the Center for Education Development in Warsaw. Since February 2015, he has been deputy chairman of the Advisory Committee at the International Telecommunications Satellite Organization (ITSO) in Washington. He is a member of the EUTELSAT-IGO Advisory Committee in Paris, he also cooperated with the European Space Agency (ESA). 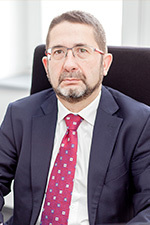 He was the member or the chairman of Supervisory Boards of multiple companies, including Wydawnictwo Naukowe PWN S.A., Bank BGŻ S.A. and TNS OBOP Sp. z o.o. He is a member of Audit Committees at the Ministry of Regional Development and at the Ministry of National Defence. He co-authored the Act on digital terrestrial television. He was decorated with the Officer's Cross of the Order of Polonia Restituta and with a Silver Medal of Merit for National Defence. Head of PCG Health in Poland and the United Kingdom, public sector consultant with nearly 10 years working experience. 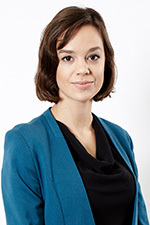 Agata has a MIM from Bocconi University, Milan (CEMS Programme), MSc in Finance from Warsaw School of Economics, MA in Law from Warsaw University. She began her consulting experience at the age of 22, when she became a member of the executive board of ConQuest Consulting – the first Junior Enterprise (consulting company established and run by students) in Poland – and as an International Manager was responsible for over 10 international projects annually. Since them, she has worked in Poland, Belgium, USA and the UK and carried out numerous projects for local governments and public agencies, including the Union of the Polish Metropolises, the City of Warsaw, Cambridgeshire County Council, Sandwell Borough District, and multiple NHS hospitals in the UK. Prior to joining PCG, she worked at the Polish Financial Supervision Authority and a boutique consulting company Capital Strategy. Agata is a PRINCE2 certified project manager. Head of higher education unit at PCG Polska and a member of the management board at Partners in Progress – a PCG Polska subsidiary. Project manager with over 10 years of professional experience in the public sector area. A PCG employee from 2008. Between 2008 and 2010 completed a 2‑years graduate management program at PCG headquarters in Boston. Coordinated and participated in a number of consulting, professional development and IT projects delivered for local government units and other educational institutions in Poland and in the US. Initiated institutional cooperation and acquisition of Partners in Progress. Manages the Leaders in University Management - LUMEN Project, offered collaboratively by PCG and Perspektywy Education Foundation. Graduated from Clark University near Boston (Business Communication), Warsaw School of Economics (IT Management), University of Łódź (Education Management), and University of Social Sciences (English). He is a PMI certified Project Management Professional (PMP) and Agile Certified Practitioner (PMI‑ACP). He is an active member of PMI and ISACA Warsaw Chapters.